We saw it with dot com bust and the emergence of mobile apps, and now we are seeing it with voice apps – there are thousands of voice apps, but few are regularly used and have good retention rate. Currently retention rate is estimated between 3% and 4%. 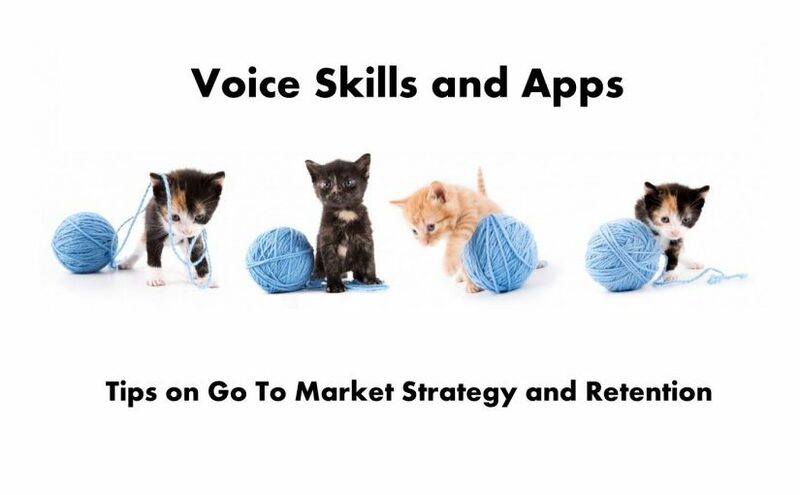 How to improve retention rate for voice skills and apps? Before anything else, selecting the right problem to solve and the right tone to solve it in can make or break your app. Spend time figuring out who your customer are, how your app ads value to their life and what kind of experience they are looking for in the interaction. The tone and design need to reflect your offering – having a hip, teenage sounding voice for your banking app may be cool, but doesn’t inspire confidence. If your app truely delivers value for customer, you should aim for and remind customers (at the right time – we don’t want to spam users with popups and reminders) to set your skill as a primary skill. If your users love your skill, they are likely to follow suit. Guiding people to use your voice skill or app, and keep it top of their mind isn’t just about having the app available. It will require having a strong go-to-market strategy. The low hanging fruit? Your existing users on other channels. Design campaigns to onboard them and get their feedback. Amazon has enabled notifications and Google Home also has notifications available – the notifications can be directed to the smart speaker or your phone. Notifications are a great way to remind users of updates and re-engage them. Keep in mind what users would consider annoying or spam. We want to increase engagement, not drive users away. Next Next post: Amazon mulling ads on Alexa?